By default Sierra.host has set its maximum file size upload limit to 8MB per file. We’ve found that most website owners rarely need to upload files larger than 8MB. However, if you do, we’ve made it easy for you to do so. Thanks to our handy cPanel PHP Selector, you can change the upload limit without a single line of code. 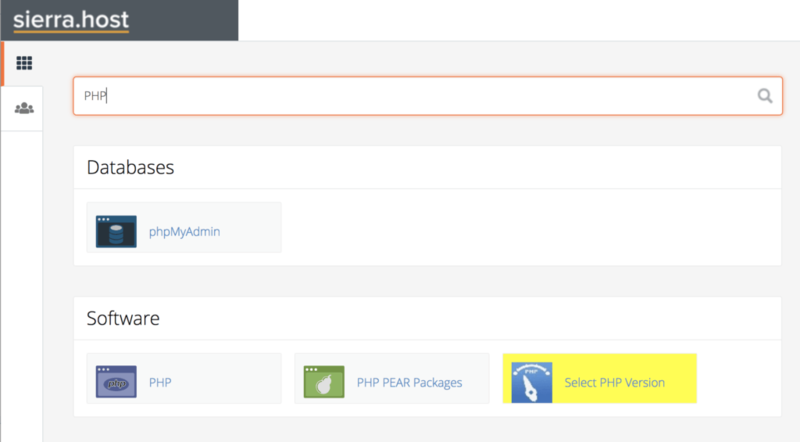 You can find it by typing the “PHP” keyword into the cPanel search or finding the “Select PHP Version” menu item from the main screen. These should carry the same value. Modifying only one of them may not ensure that your upload limit changes properly. Once you’ve made the changes, be sure to press “Apply” and then “Save” when you’re done modifying any other settings on this page. 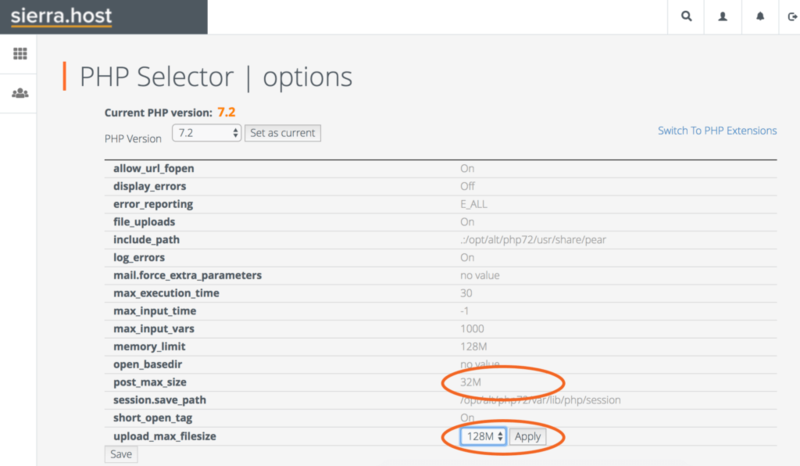 *Hint: If you do not see the above options when selecting the “Select PHP Version” menu, your screen might look more like the screen below. If so, select the “Switch to PHP Options” link first. That’s all there is to it! 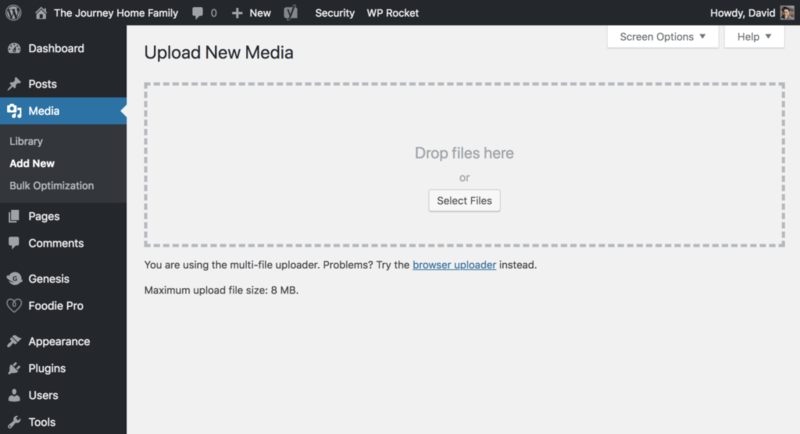 You can go back to your WordPress site admin and upload your files with the new upload limit. If you have trouble or would prefer our support team to configure this for you, just email us on our contact page or open a ticket directly from the Sierra.host Dashboard.